Windows Live Gives You A Different Mother&#39;s Day Experience ! 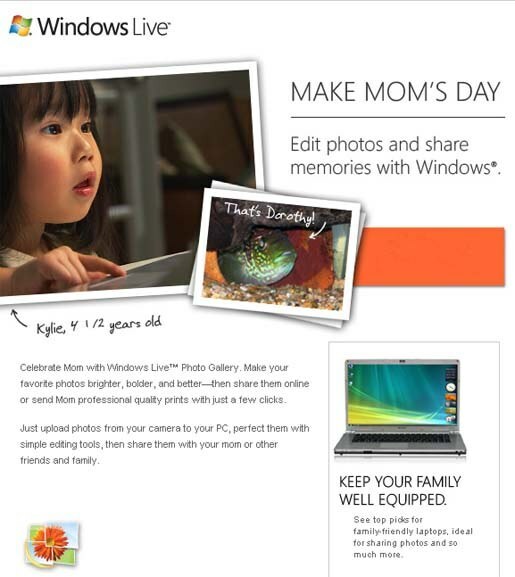 Windows Live Gives You A Different Mother's Day Experience ! The celebration is getting started as thenew-updates-in-windows-live-messenger-2009/"> Mother’s day is ahead for this year. Therefore, you can celebrate the Mother’s day with your mom and Windows Live. Windows Live has offered some options to make the more joyful. Celebrate Mom with Windows Live™ album-portable-digital-photo-gallery-stores-your-memories-digitally/">Photo Gallery. Make your favorite photos brighter, bolder, and better—then share them online or send Mom professional quality prints with just adisabling-the-right-click-in-desktop/"> few clicks. windows-messenger-and-hotmail-now-come-to-your-mobile/">Want to know about Windows Messenger in Mobile phone ? Just how-to-upload-photos-in-facebook-fast-and-safe/">upload photos from your camera to your PC, perfect them with simple editing tools, then share them with your mom or other friends and family. It's easy — after all, Kylie can do it, and she's only 4-1/2 years old. How easy is photo sharing ? how-to-recover-the-deleted-images-from-digital-camera/">Meet Kylie. At just 4 ½, Kylie doesn’t have that much experience with a PC. She’s a rookie. 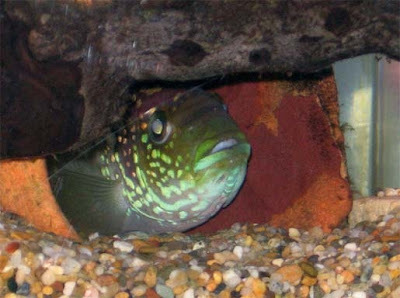 Yet she transferred her photos from her camera, color-corrected them, thene-mailed a snapshot of her pet fish, Dorothy, to her family. All start-menu-for-portable-devices-pstart/">using Windows Live Photo Gallery. It makes fixing and how-to-share-files-between-mac-and-windows-via-internet/">sharing photos easy at any age. Why not try it for yourself? 4.Click "Fix" then "Auto adjust"
5.Click "how-to-get-gmail-access-in-android-and-iphone/">E-mail" to send to a few friends or an entire contact group. That’s it. Ready to get started? Just download Windows Live Photo Gallery.